THERE is a reduction in those signing on the live register in East Clare this past year but with very little economic growth locally, Councillor Pat Hayes is calling for something to be done to deal with the 1,271 who remain unemployed there. While there are 183 less people signing on at the Tulla social welfare office in February 2013 when there were 1,454 people signing on than in February 2014, Councillor Hayes says he cannot account for the reduction. The Tulla social welfare office caters to its local community and extends to O’Callaghan’s Mills, Scariff, Whitegate, Feakle, Kilkishen, Bodyke, Broadford, Feakle, Ogonnelloe, Kilmurry and parts of Sixmilebridge. Councillor Hayes said the feeling on the ground is that there is no employment being created across East Clare, and the spending power is going from communities. “Young people have left, and people don’t have any money to spend in the local economy. When you don’t have jobs, you just don’t have spending power in communities, and while there might have been a reduction in the unemployment numbers, but as a local representative there are very few, if any jobs being created in East Clare. I am concerned there is no real lift. Every sector of society is suffering. It is particularly affecting small businesses,” he said. He said East Clare has suffered from the loss of its largest employers Finsa in recent years and since then, a number of other small to medium businesses have also closed their doors. Councillor Hayes doesn’t dispute the figures outlined from the Central Statistics Office, which collates the live register figures, but he said the reality on the ground is that the level of job opportunities necessary to to tackle this issue are not being created. “With my local knowledge of the reality on the ground, there seems to be a constant move of people into training courses and a lot of the people are moving between courses and schemes, Fas, CE, and Tus, while that is very welcome it is only a short niche in some people’s lives, we need more stability in terms of long term employment. I think there needs to be a special department set up in particular to deal with unemployment in the West of Ireland. The effect here is that local businesses are suffering, the self employed, small food stores and pubs because of the lack of any real spending power anymore,” he said. 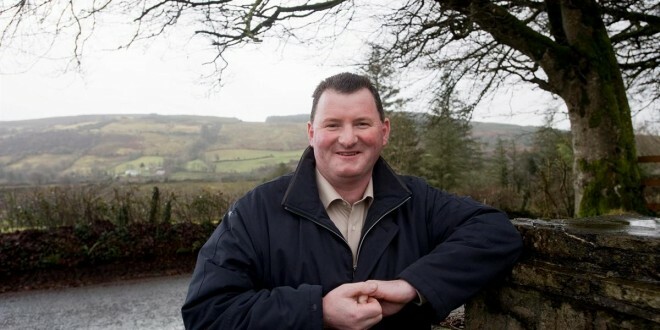 He said it isn’t completely bleak since Finsa shut down its operations in East Clare and thankfully he said the next biggest local employer Beckman Coulter in O’Callaghan’s Mills has been “a shining light”. However the loss of a locally based company E-Teams and also the downturn in the building trade is a constant reminder that “most towns are struggling to survive”. “As a community, county and region we have to stand up. What we need is a number of factory units that would employ people in the long term. I don’t think there is proper balanced regional development here at all. I know for a fact that people in East Clare are going to work in Dublin, some that go to London and America and leave their families here, it is shocking. I think there has to be a clear understanding at Government as to what is happening. We have to try to take this on as a national issue. I think a special department for the West of Ireland and midlands needs to be established. There has to be an effort to reduce employers cost, there should be incentives put in place to employ people. To quote Eamon O’Cuiv ‘it is a strange country that we are paying people not to work, and if we catch them working we take the money off them’. If you look at that analysis of where we are, it sends out the wrong signals altogether,” he said. Clare Local Development Company which has been delivering local training initiative programmes for five consecutive years in East Clare works towards creating opportunities for those who are unemployed. Their figures for 2010, 2011 and 2012 show that between 12% and 25% of their participants progressed to full time employment, while a further 11% to 12% went on to part-time employment while 5% to 12% were self employed. However there were approximately 35% whose progress was unknown and the rest went into further education. Developing on its Level 4 Return to Learning services, CLDC offered further progression opportunities by offering a Level 5 programme. They deliver a Horticulture Programme, which takes into consideration the large number of individuals with horticultural interests and natural resources. This has continued for four years based on the success of preceding years. “Learners often progress into employment or education unrelated to horticulture with their course being the stepping stone to a positive future. Over the years learners have chosen various paths, e.g. horticulture related self-employment, veterinary, engineering, mechanics, forestry, carpentry and glass works,” said Suzanne Hayes assistant co-ordinator to the East Clare Horticulture LTI. Meanwhile, Pat Quigley co-ordinator of the same programme said there is always huge interest in the course with 16 originally signed up to it. Some have used it as a stepping stone to further education, others have gone onto paid employment, or part time employment where they often secure seasonal work, but many have gone the self employment route. He said many get involved on a small level by setting up a market stall, or using their plot to supply others. “I have at least four who have a plan for a sustainable self employment. A lot of it is prospective ventures. It takes time. We supply them with the opportunities to start their own business, and let them know how to go about it and where they can apply for grants. There isn’t a lot of job creation in East Clare that is the problem the lads find. There is a lot of good in the course in terms of the skills. It is the job creation end is a little flatter than we would like it to be. There are a lot of positives with the local employers, like the Community Co-op in giving the students insight into how the farmer’s markets work and how you can get into that,” he concluded.